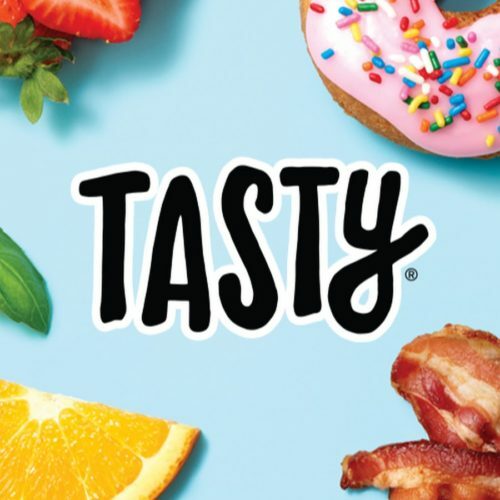 I’ve always been a big fan of Tasty. For those of you who don’t know what it is, they basically post cooking videos mostly on Facebook, that are supposedly “quick and easy.” They are only about a minute long, and I think they do this so it looks like the recipes won’t take as long as they actually do. Anyways, I decided to finally try to make something from Tasty, and I would not consider myself the best chef in the world but I do pretty okay for having a dorm room kitchen and limited utensils and tools. I decided to make the buffalo cauliflower bites, which I thought would be a healthier substitution for my all-time favorite and go-to, buffalo chicken and buffalo chicken pizza. I went to the Fresh Grocer, which is the main grocery store in around Penn’s campus, and bought all the ingredients. Something I noticed right away was that some of the ingredients they used in the video were not listed in the ingredients list. It called for 1 head of cauliflower, 1 tablespoon olive oil, 1/2 cup flour, 1 teaspoon garlic salt, 1/2 cup whole milk, and 1 teaspoon hot sauce. It did not tell me to get parchment paper for example, which I would not have known unless I made sure to watch the video once again just to make sure. The directions were simple: preheat the oven to 450, cut the cauliflower in half and put them aside, mix the ingredients in a separate bowl, add the cauliflower in the bowl so they are coated with the mix, put them on a baking sheet with olive oil and bake for 20 minutes, take them out and put buffalo sauce, and then bake them again for 10 minutes and finally enjoy. But something unfortunate happened. I followed the directions and video to the tee, but when I pulled them out of the oven both times, they were burnt and stuck to the parchment paper. I ended up getting more pieces of “buffalo parchment paper” than buffalo cauliflower, and was upset since I was preparing to have this 4 nights in a row since it said it serves four. I barely got one out of it, unless I wanted to eat the paper, too. Overall, I loved the video and the pieces I was able to peel off tasted great, but I would say to make sure you both watch the video and read the ingredients and directions since they seem to forget some ingredients, tools, and directions. I would also suggest adding non-stick spray to this and spraying the paper with it beforehand, which I did the second time making it and worked much better. I would also look up similar recipes online and see if they call for anything different.